 Floss Magazine Interview with Dr. Noel Tshiani Presidential Candidate for Democratic Republic of Congo – Watch Here! Kylie Jenner and Jay-Z Tied on Forbes’ Wealthiest Celebrities List – Details Here! Cryptocurrency Millionaire Says Bitcoin is Dead – Details Here! CBO Why I am leaving Google.